Calling all French-fry lovers: This may be our BEST swap yet! 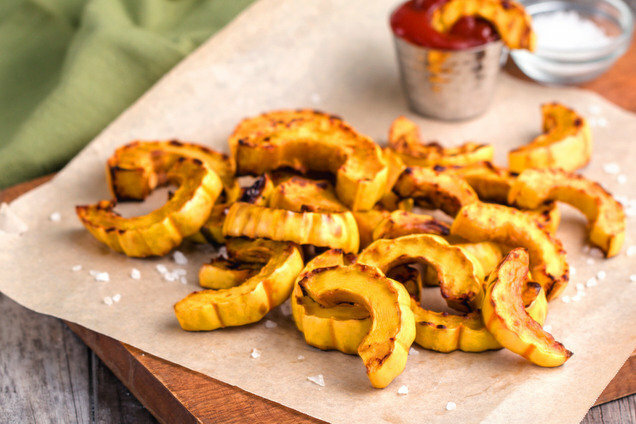 The low-maintenance and super-yummy delicata squash is about to become your squashy new BFF. No peeling necessary, and it can be cooked into fries in an air fryer OR oven. Bookmark it; share it; pin it; love it! Slice off squash ends. Cut squash in half lengthwise, and scoop out the seeds. Cut squash into fry-shaped spears. Sprinkle with salt. 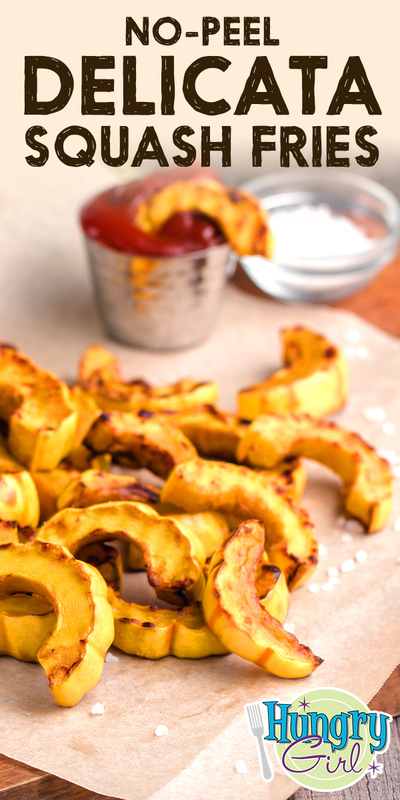 Place a single layer of squash spears in the air fryer. Lightly spray with nonstick spray. Set air fryer to 392 degrees. Cook until golden brown and crispy, 10 - 12 minutes, shaking the basket halfway through. Repeat with any remaining squash. Oven alternative! Bake at 400 degrees until golden brown, 20 - 25 minutes. 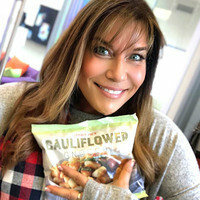 ⭑ Trader Joe’s Chew & Tell: holiday edition! Listening to our free on-demand audio show -- a.k.a. podcast -- is easy as can be. Click here, and GIVE PODS A CHANCE! Hungry for More Veggie Fries? Eating fries with friends is even better than playing Words with Friends... So click "Send to a Friend," and get started!